Welcome to the Decolonizing Theatre HowlRound Series Podcast on Texts, Words, and Communication. In this podcast we were invited to explore how we might go about decolonizing the primacy of the written word and text in theatre. As you'll hear our conversation traversed wide territories, practices, lived experiences, concepts, theories, and dreams. We're so excited to share this excerpt of our conversation with you, as part of this groundbreaking series. In this conversation you will hear: DeLesslin “Roo” George-Warren, Jacqueline E. Lawton, Lisa Cooke Ravensbergen, and mia susan amir. Click here to listen to the podcast and here for the transcript. Jacqueline Lawton talks about her work as a dramaturg and how theater prepares students for expressing themselves in the real world. Her research most recently led her to discover Marvel Cooke, an early 20th century African American journalist. She is currently working on a play about Cooke’s life. Lawton also discusses her favorite book Black Girl in Paris by Shay Youngblood and, fittingly, her favorite play the James Lapine book play-turned-musical by Stephen Sondheim’s “Into the Woods.” Click here to listen. Conservative critics are attacking a production of William Shakespeare’s “Julius Caesar” that’s running in New York. The basics of the play are the same as they’ve been since 1599 — the title character is deemed “ambitious” and is murdered in the Roman Senate on the Ides of March. But that’s not what has drawn controversy to the latest production. In the Shakespeare in the Park version, Caesar is a blond president in a long necktie who is more than just reminiscent of President Donald Trump. And in this production, the conspirators who brutally murder the leader are played by women and people of color. Facing complaints, advertisers have dropped their support of the play. But defenders of the interpretation say they’ve lost their reason, and they point to a 2012 production of “Julius Caesar” that portrayed the leader as a stand-in for President Barack Obama (and at least one conservative publication gave it a positive review). Trump’s supporters say the art world has come to bury the president, not to praise him. Have artists in a polarized nation let loose the dogs of war? Is mischief afoot? Or are there no tricks in plain and simple art? Guests include Kyle Smith (Critic-at-large, National Review; theater critic, The New Criterion), Jesse Green (Theater critic, The New York Times), Mike Wiley (Actor and playwright), and Jacqueline E. Lawton (Playwright; Dramaturg at PlayMakers Repertory Company, and Assistant Professor of Theatre at the University of North Carolina at Chapel Hill. Click here to listen. Jacob Lawrence’s Migration Series tells the story of the Great Migration, or mass movement of over one million African Americans from the rural South to the urban North in the early decades of the 20th century, a period that forever altered the social, economic, political, and cultural fabric of American society. Playwright Jacqueline E. Lawton, Producing Artistic Director of On Stage with the Migration Series, speaks to the relevance of Jacob Lawrence today. Episode V: UNTRADITIONAL Playwrights GUESTS: Jiayun Zhuang, Brenda Withers, and Jacqueline Lawton. With the title UNTRADITIONAL Playwrights, you might assume we are going to talk to playwrights from unconventional circumstances, exotic locales, or who deal with taboo subject matter. But what if we told you that UNTRADITIONAL Playwrights refers to a demographic that consists of over half of our population? With us today are three “untraditional” playwrights: Jiayun Zhuang, Brenda Withers, and Jacqueline Lawton. So are women untraditional playwrights? We’ll let you decide. But either way, we think it’s time to start a new tradition. Click here to listen. 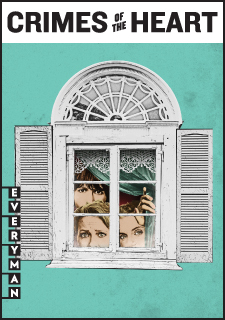 On Saturday, January 18th, Everyman Theatre presented How Women's Voices in the Theatre Reflect Our Culture as part of their ongoing The World of the Play Series. Hosted by radio personality Marc Steiner, panelists included Teresa Eyring (Executive Director, Theatre Communications Group, New York), Jacqueline Lawton (Playwright and Dramaturg, Washington, DC), and Jackson Bryer (Professor Emeritus of American Theatre, University of Maryland, College Park). Beth Henley's Crimes of the Heart debuted in the early 1980s - the beginning of an era that celebrated the increased role of women in the workplace and a decade where the female voice was heard louder than ever before - not only theatre, but in politics, business, education and more. Over 30 years later, there are still surprising gender inequalities in average salaries, education and even the fact that female playwrights are still produced far less than their male counterparts. Why aren't women playwrights being heard on our stages? Join our esteemed panel of professionals as we discuss the role of women in theatre today and how the surprising lack of the feminine voice on stage may be a reflection on society itself. On Thursday, May 23rd at 11:00am, Jacqueline E. Lawton will join We Act Radio host Thomas Byrd along with Deborah Simmons, award-winning correspondent with the Washington Times; Julia E. Christian, Anacostia Playhouse's Managing Director; Katie Ryan, Theatre Alliance Education and Outreach Director; and Virginia Spatz, The Education Town Hall's feature reporter, for an in-depth discussion on Arts Education versus Job Training at public universities and in tough economic times on The Education Town Hall radio show. What is the role of arts education in public universities, especially during tough economic times? Is drama an "after school extra" or an integral part of education for younger students? Australian and American playwrights often wrestle with issues of gender, sexuality, race, and immigration, but they’re doing so in very different ways, both aesthetically and thematically. New Dramatists Artistic Director Todd London and Georgetown University Professor and Playwright Christine Evans lead an intercontinental playwrights’ conversation with Vanessa Bates, Declan Greene, Carson Kreitzer, Jacqueline E. Lawton, and Carlos Murillo about similarities and differences between their approaches and the cultures in which they write.